My little crafting area is our home's command center. 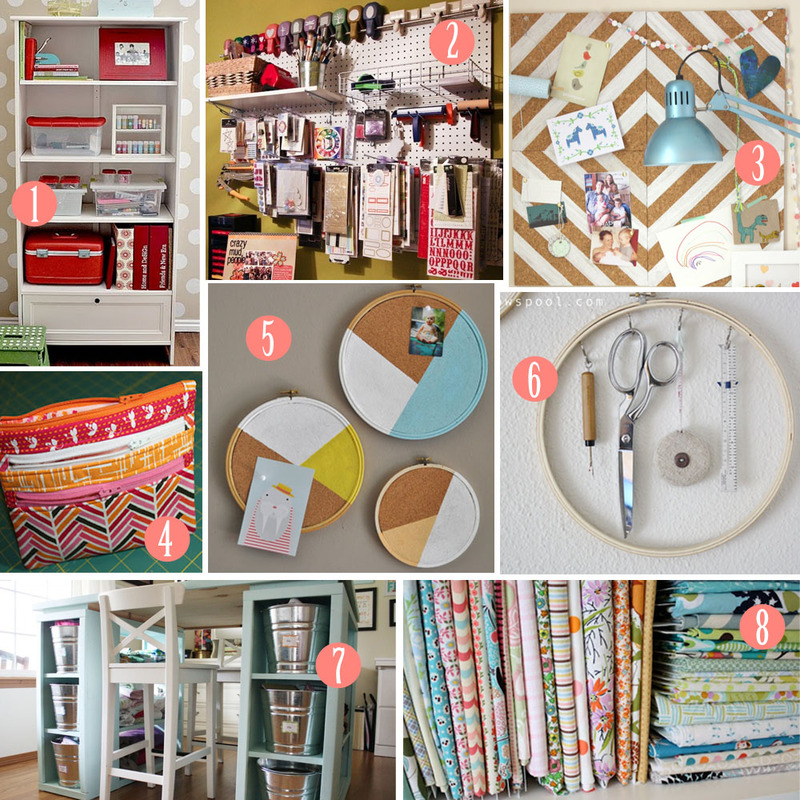 I do everything there: pay bills, craft, sew, research home insurance, blog...you name it! Unfortunately, I don't have a craft room, just a craft "area." Because it is so small, organization is key. To make matters worse, I recently upgraded from a laptop to a desktop computer and my small space now feels even smaller. I needed some craft room organization inspiration and compiled a to-do board of things to keep my craft clutter in check. P.S. If you see Santa, tell him what I really want for Christmas is my very own craft room!